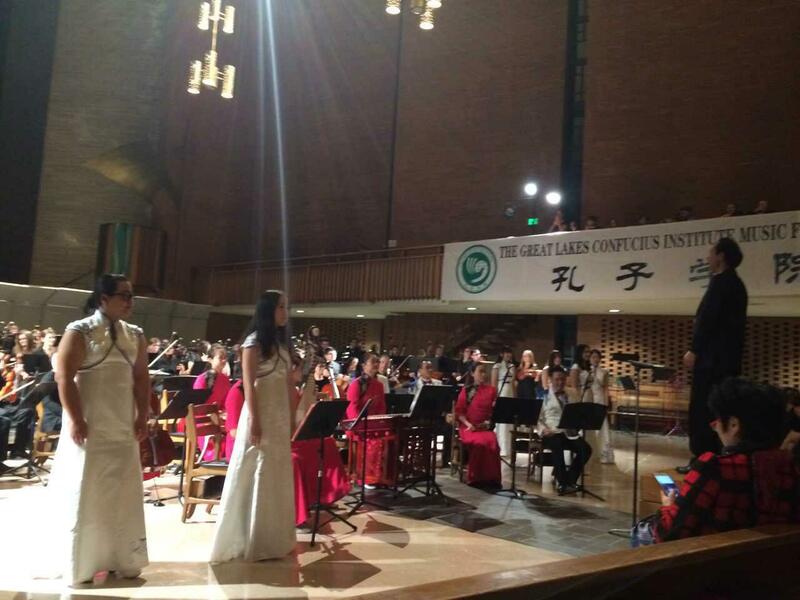 On October 19, Consul General Zhao Weiping Attended the 8th Great Lakes Confucius Institute Music Festival held by the Confucius Institute at Valparaiso University in Indianan. 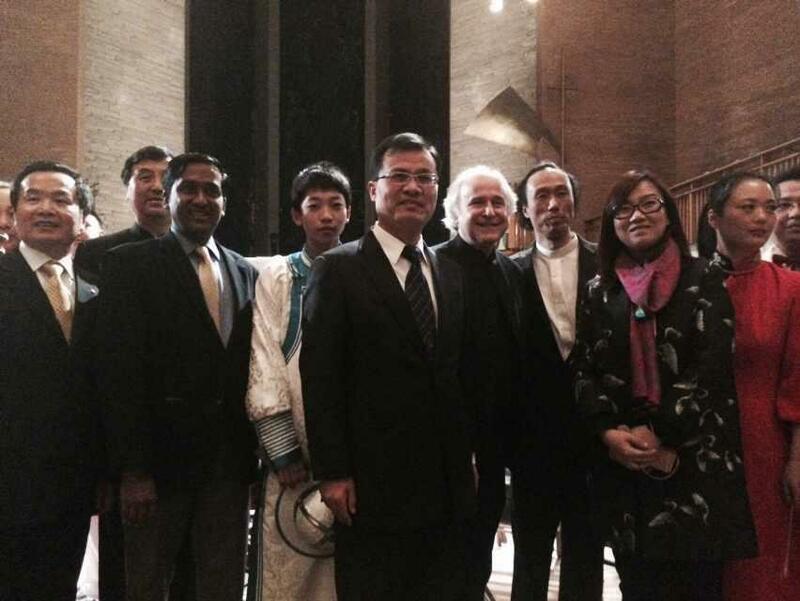 Almost 400 faculty, teachers and students from Nanjing Arts University, Xianqu String Orchestra of the Hangzhou Musicians Association, Changzhou Traditional Chinese Orchestra,Valparaiso University Symphony and 6 adjacent high schools performed during this Festival. Mark L.Biermann, Provost and Exective Vice President for Academic Affairs of Valparaiso University attended the event. Popular Chinese classic music and songs were performed including The Three Wishes of a Rose, Snow on the River, Heroic Sisters of the Prairie, Celebrations in Jiangnan, Jiangnan Style, Eight Scenes of Jiangnan, Clouds Chasing the Moon, Moon Reflected in the Second Spring and Gada Meilin as well as the Mongolian Hero. The Festival reached its climax when popular Chinese folk songs Jasmine Flower, Kangding Love Song and Yao Ethnic Dances were sung together by all the performers, receiving big applause from the audience. Consul General Zhao spoke highly of the active role by the Confucius Institute at Valparaiso University in promoting China-US cultural exchanges and mutual understand between the two peoples.